What is Advanced Charting and Why Do Active Traders Love It? 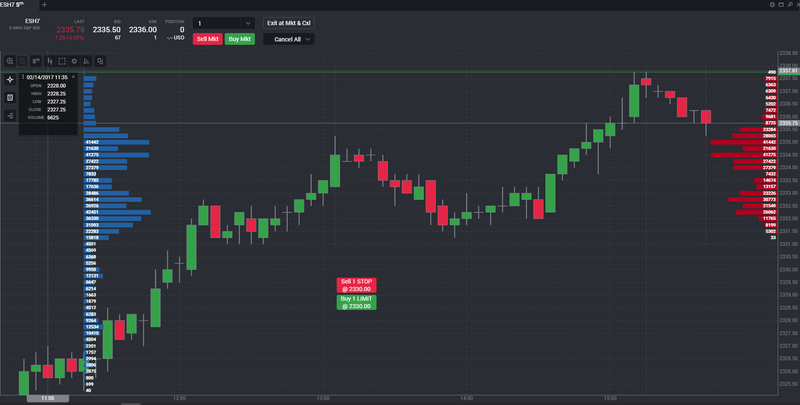 Tradovate’s Advanced Charting add-on can give your futures market analysis a boost with tools that help visualize market data in a powerful format. Volume profile will show much contract volume traded at each price by displaying the market-generated data in a vertical histogram. The price distribution by volume can be further detailed with volume labels that display the exact number of contracts that trade at each price level. Tradovate’s volume profile can be used across multiple timeframes, from tick to day, to show the volume-at-price information on your charts. 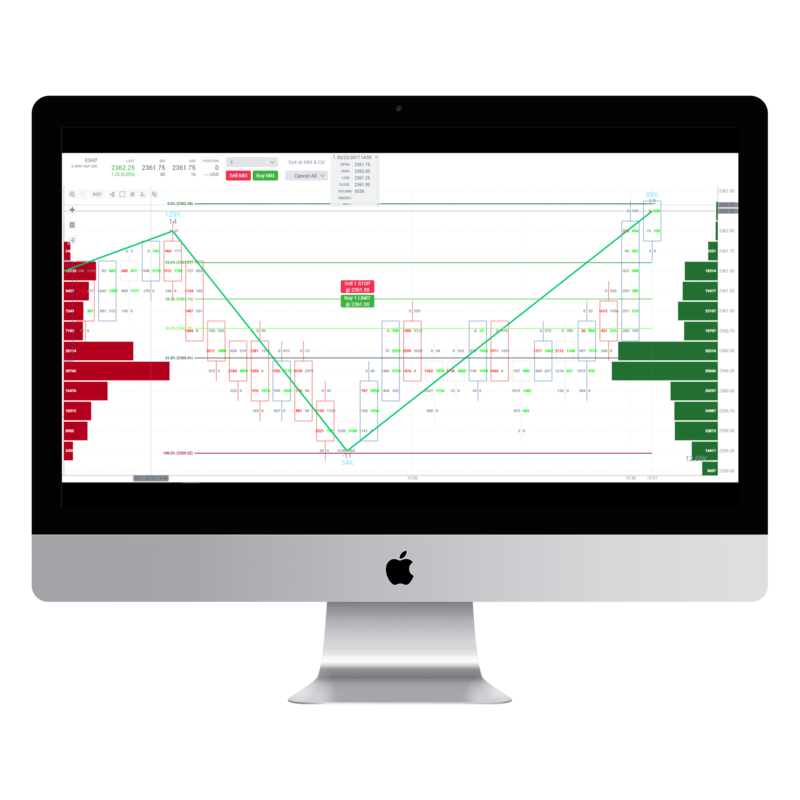 The profile can be customized by drawing exactly the number of bars you want to see and multiple profiles can be applied to the same chart, giving you as much insight as you want to the volume activity in your market. 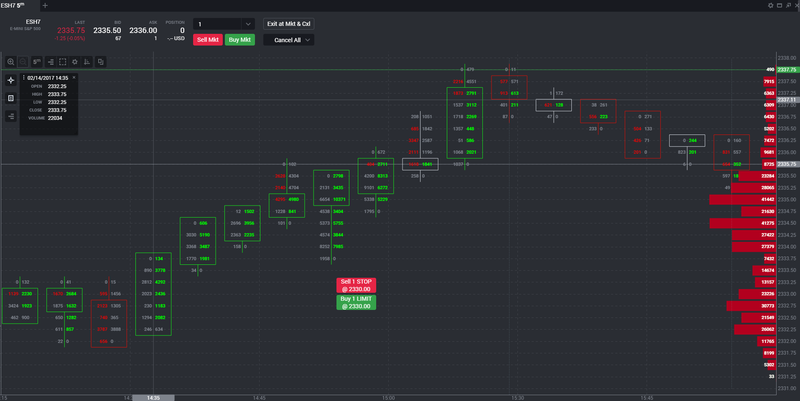 Tradovate’s bid-ask chart type lets you look inside each candle to see how much volume traded at the bid price and ask price at each price level. The view of volume trading at the inside market can help to analyze order flow and gauge the strength of momentum, giving important perspective on who is winning the battle between buyers and sellers. The bid-ask chart type can be used in conjunction with volume profile to provide greater detail into the dynamics of the market and help determine price rotations.